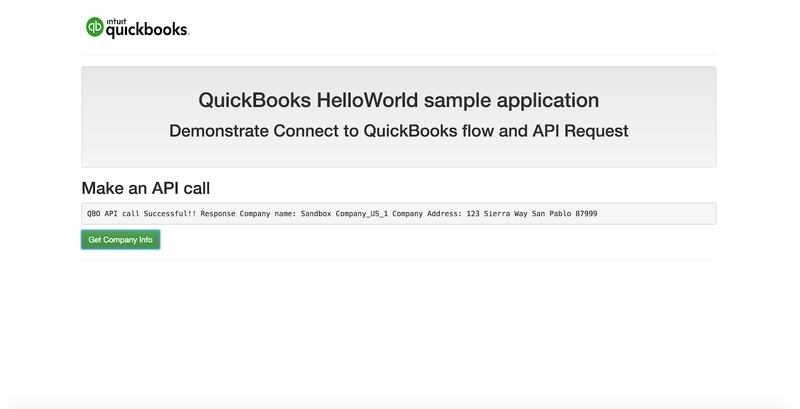 The QuickBooks Online PHP SDK makes it easy to integrate your PHP web app with the QuickBooks Online API. 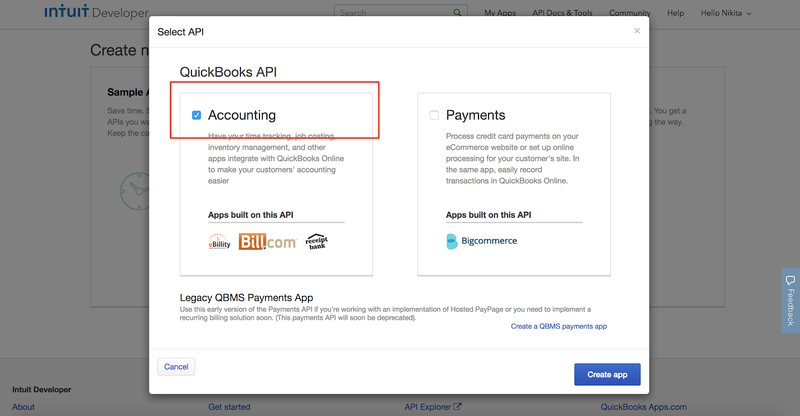 This guide assumes that you have an existing web app that you want to integrate with QuickBooks Online. This step can be skipped for running the Hello, World! Sample app. The recommended way to install the QuickBooks PHP SDK is with Composer. Composer is a dependency management tool for PHP that allows you to declare the dependencies your project needs and installs them into your project. The installation of composer is local by default. For more on how to install Composer, configure autoloading, and other best practices for defining dependencies, go to getcomposer.org. Skip to section 3 if you have already created an app in the developer portal. To connect your Hello, World! app to a QuickBooks company, you need to create an app on the Developer Portal . Sign into the Developer Portal and click My Apps. Click Create new app. 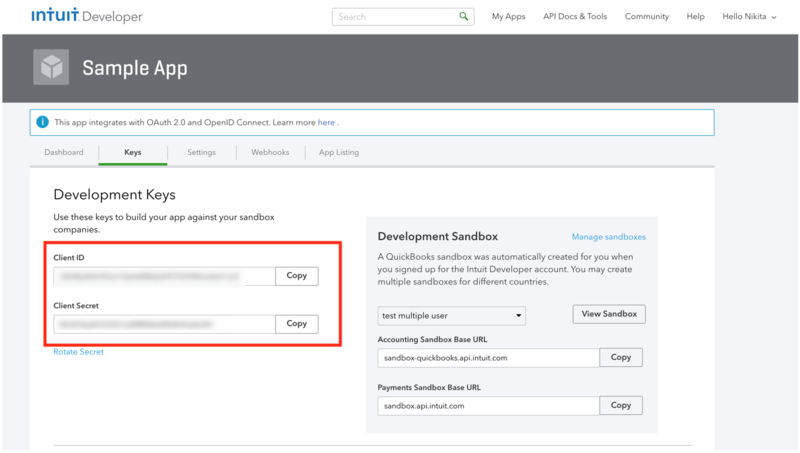 On the Create new app page, click Select APIs under Just start coding. Select Accounting and then click Create app as shown below. Creating a developer account also creates a QuickBooks test company (also referred to as Sandbox company). You are entitled to create at the most 5 sandbox companies. You will use this Sandbox company to go through the authorization flow in the subsequent steps to see what it looks like. 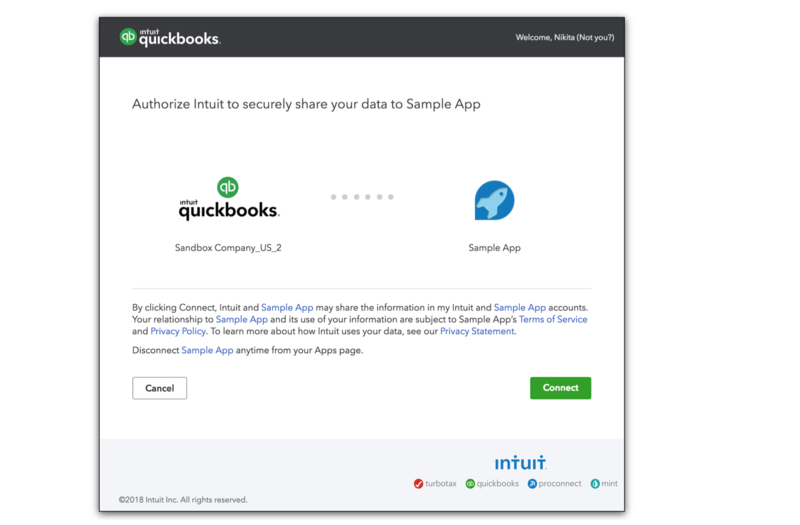 To get access to the data of a QuickBooks company, a user must authorize your app through an authorization flow. At the end of the authorization flow, an Access Token is generated, which is used to make QuickBooks Online API requests. 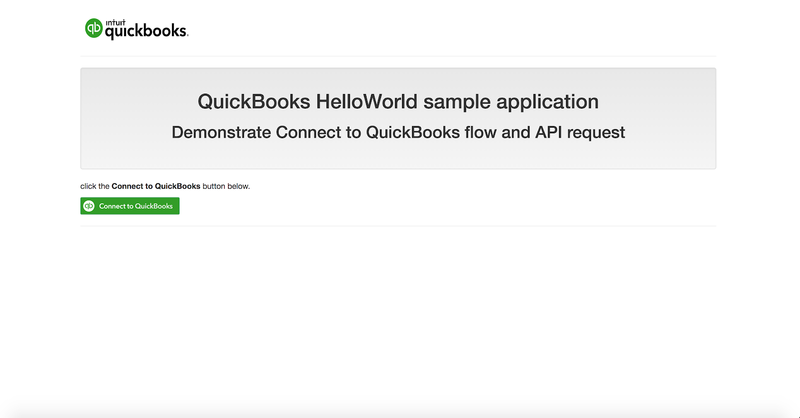 To initiate the authorization flow, users of your app will click on the Connect to QuickBooks button. The steps in this section go over how to build this Connect to QuickBooks button. Creating a developer account also creates a QuickBooks test company (also referred to as Sandbox company). You will use this Sandbox company to go through the authorization flow to see what it looks like. This authorization flow requires app’s Client Id and Client Secret from your app’s Keys tab. Since PHP does not provide a way to transfer objects between PHP files, we will retrieve the access/refresh token we stored in the session variable earlier and update the DataService object using the function below. You are all set to develop your app with Quickbooks. 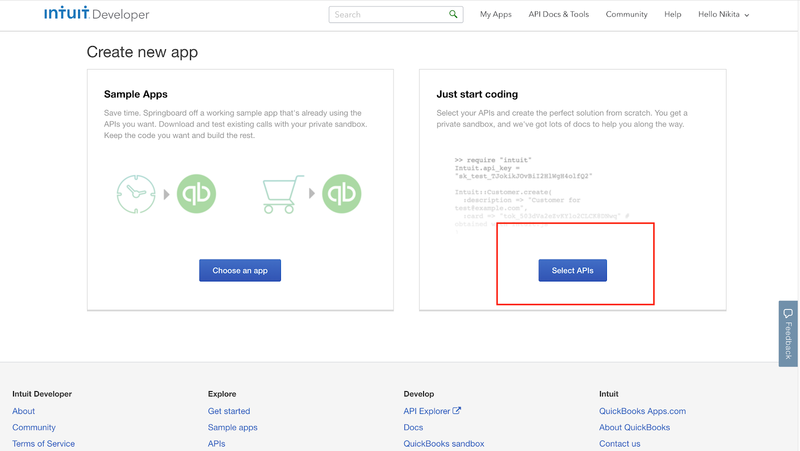 Once you’re up and running with the PHP SDK, you’ll find code samples using the latest version in our REST API docs and in the documentation for every Quickbook Online Entity. You can also find the samples in the latest PHP SDK here. We’d love to hear your feedback on the PHP SDK, and help you past any issues you may encounter. Feel free to Open a Github Issue, and we’ll make sure to get you sorted!